Posted on April 19, 2015 by Sarah S.
Today was Todd Farm Flea Market’s (of Rowley, Massachusetts) opening day, and with the sunny weather, the vendors were a plenty as were the customers. I had no intention of buying anything (I just packed up my Pittsburgh apartment, after all), but of course I left with a few good finds, including a U.S. Army gas mask bag, an old, fading graphite print, and feminist-worthy pin. 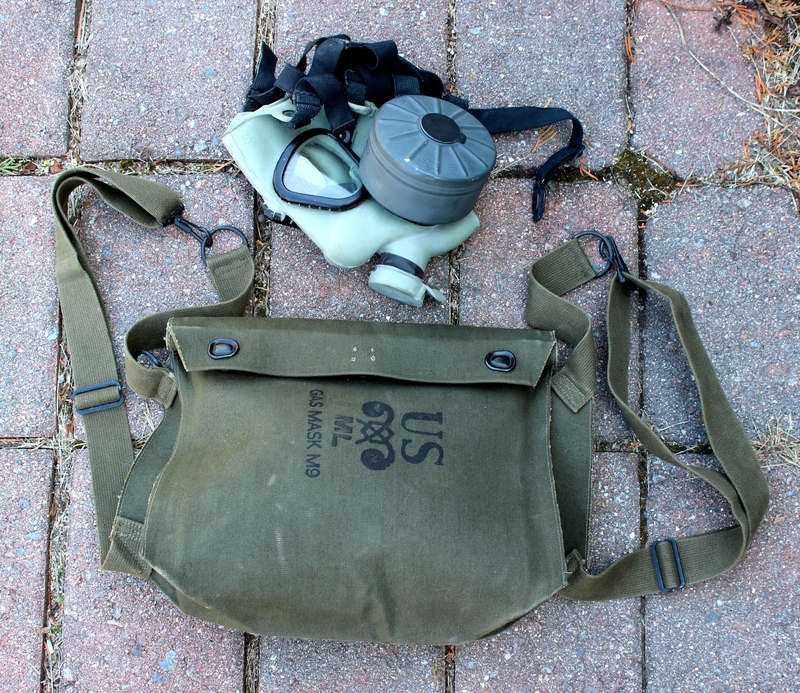 The rubber lining of this gas mask bag will make it a perfect camera bag. This post is #14 of the #The100DayProject. For more updates on my progress, be sure to follow me on Instagram and look for the hashtage, #100DaysofMiaPrima. This entry was posted in Art, Travel, Vintage and tagged #100DaysofMiaPrima, #the100dayproject, antique, camera case, flea market, gas mask, massacdusettes, Massachusetts, new england, rowley, todd farm, Todd Farm Flea Market, vintage, vintage clothing. Bookmark the permalink.